If you are craving for a seaside home, Puravankara Purva Grandbay brings you the right opportunity. With splendid apartments beside the blue seas and white sands, you will get the taste of luxury and comfort in one of the most splendid areas of the world. 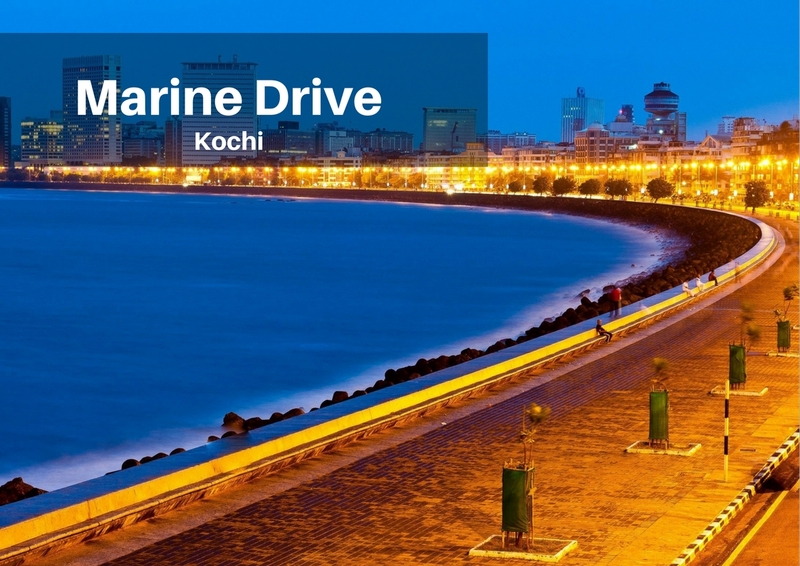 The waterfront house is among the most sought addresses in Kochi, where you can cherish your housing dreams. You will get the ideal home to celebrate your life with luxury. This 3 BHK ready to move residential complex offers all amenities that make your life blissful. Besides, the location is optimum, with an easy approach to the important areas in the city. The residential estate has been built by one of the leading developers, Puravankara. You will enjoy all the material comforts in the area. 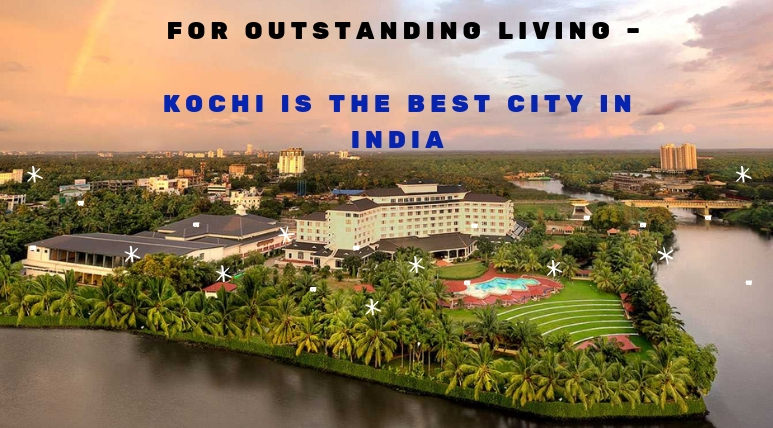 Well, Kochi is one of the best cities in India, in terms of liveability. Presently, it is ranked in the sixth position in the country. Besides, Kerala is one of the most picturesque places in the world. Besides, Kochi is set to be a smart city in the upcoming years. Evidently, life in an apartment in Puravankara Purva Grandbay Marine Drive comes moulded in luxury and comfort. Transportation will not be a problem for the residents here, as the place is linked to all important parts of the city through a network of roadways. Apart from this, Kochi is turning into an important commercial area. A large number of blue-chip companies are coming up with their businesses here. It is estimated, that around 90,000 employment vacancies will be generated in the area by 2020. Evidently, the demand for homes is likely to rise in the next few years. It is for this reason that the Puravankara Purva Grandbay Price is rising. For investors, this is the best time to invest in the property in the area and get the best returns. You may also be looking for an apartment for personal use. Enjoy the mesmerising view of the seas while you remain close to the city. The location of the area is one of the key reasons why you should migrate to the seaside home. It is located just 500 Mts. from the Kerala High Court and you can reach the M.G. Road easily, located 1.5 Kms. away. 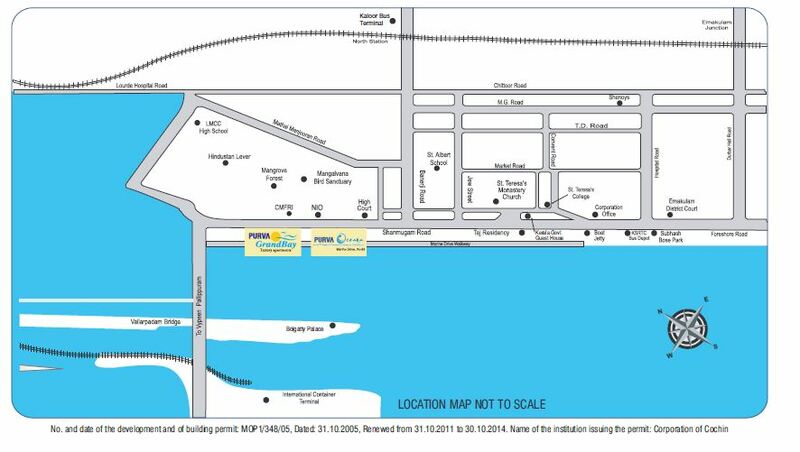 The residential complex is around one and a half kilometres from the Vallarpadam Container Terminal. Apart from these, you can get easy connectivity to a number of multi-speciality hospitals, educational institutes, shopping malls, multiplexes, shopping centres and other organizations. The residential complex comes with a swimming pool and well-equipped gym. Besides, the children have a dedicated area to play in. Apart from these, the outdoor space has a basketball post. You can enjoy the sauna and steam facilities. The intelligent security system ensures optimum protection to the residents. With spacious interiors and world-class fixtures, you will enjoy your dream home beside the seas. Investors and homeowners interested in the property in Marine Drive can make an investment now. The prices of apartments in the area are rising. Enjoy your life in the seaside, with the best mix of sophistication and comfort. 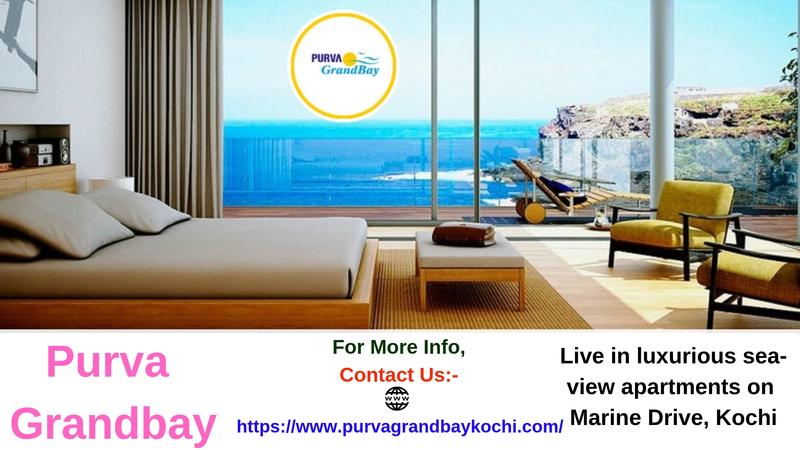 Purva Grandbay Kochi – Marvellous homes, unlimited luxuries! Kochi is wonderful tourist hotspot and is currently noted for its huge skyscrapers and the booming real estate market. Now a new residential development, Purva Grandbay Kochi is spreading its glory in this beautiful city. State-of-Art architecture, modern amenities and facilities, true value homes are some special attractions of this project. Buyers who want to join the community of sophisticated families and want to present their family a grandiose lifestyle should select this estate. All the Vaastu compliant 3 BHK apartments in the development are truly fabulous and crafted with the finest quality of interiors. One can spend here the whole day and spend quality time with his loved ones in the magnificent landscaped gardens and Zen Parks here. Opulent luxuries of the greatest level have been spread here every corner of the estate and with the life seems here very amazing, exciting and pleasurable. Commuting from the township to anywhere in the city is quite rapid, smooth and convenient as there is a well-connected network of expressways and highways around the development. Elegant first floor entrance lobby with combination of marble/ granite. Vitrified tile flooring in kitchen & utility area. Hi-tech security system for each apartment (main door). Hi-speed automatic passenger lifts are provided in every block with intercom facility connected to security cabin.